Calling through your mobile phone is one of the most common ways to reach out to your loved ones, acquaintance and friends. For some people, the charges for calling may be a little expensive. Fortunately, saving money on calls is possible with your Android device. If you have a decent internet connection, you can make free calls anywhere around the world with some of the great Android FREE phone call apps. Skype is one of the world's most well-known VoIP providers. It is popular for its video chat services which lets you text, chat and make voice calls over a stable Wi-Fi connection. When you start, just create a Skype account, upload a profile photo and add more details if you like. You can connect with your friends instantly enjoy a nice video conference. Unfortunately, you cannot send your photos or files with this Android app. Calls from Skype to Skype is free, though, so you can actually save a lot. If you want to make calls to any landline and mobile numbers, you can simply purchase additional Skype credits. You will be charged by the minute depending on the country. With Fring, you can enjoy group video calls and VoIP conferences for free. There are as many as four people who can join a video conference all at the same time. Fring's Dynamic Video Quality (DVQ) technology provides better video calls on 3G, 4G and Wi-Fi connection. This Android phone app is the first free group video calling app in the world which lets you call other Fring users in other countries simultaneously. With Fring, you can enjoy the best audio and video quality with full satisfaction. Fring is a free app from the Android market. Free calls with Viber are easy to make. It offers high-quality calls over 3G and Wi-Fi connections, and features a full screen every time you receive Viber calls and text messages. In fact, the notifications allow you to respond even without opening Viber Tighter Integration. It also allows you to view your regular call logs and messages within Viber A default dialer setting, which lets you use the Viber dialer not to all other phone calls as well. You can enjoy using Viber with free calls and text even with your friends who are iPhone users. 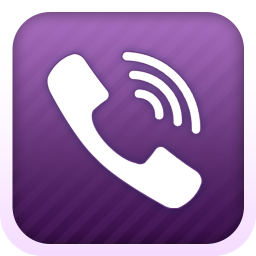 Another great Android app that lets you make free voice and video calls is Tango Voice. You can make free calls over 3G, 4G, and Wi-Fi connections to any Tango user in the world on. You can begin with a simple voice call, and then make a video call if you want to share something with your friends. Tango Voice is user-friendly, and is extremely fun to use. In fact, you can also reach Tango iPhone users from your Android-powered device. You can enjoy free phone calls using your Android device if you have Wi-Fi or 3G connection with Acrobits app. It has no roaming and out-of-network charges, which means that you can save your credits. It is intuitive and easy to configure. Just have your SIP configured and you can make calls right away in just a few seconds. It features a smooth Google voice interface and has excellent sound quality. Wow...nice article...I like it..my friend..keep in touch. This is a nice phone that has lots of apps android.